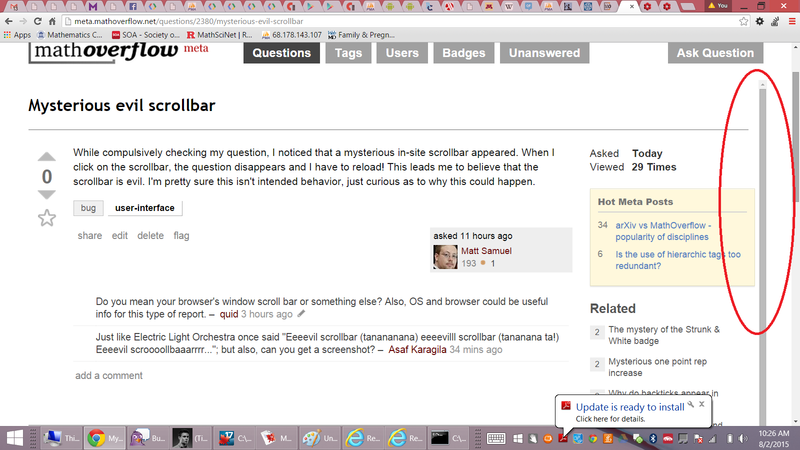 While compulsively checking my question, I noticed that a mysterious in-site scrollbar appeared. When I click on the scrollbar, the question disappears and I have to reload! This leads me to believe that the scrollbar is evil. I'm pretty sure this isn't intended behavior, just curious as to why this could happen. 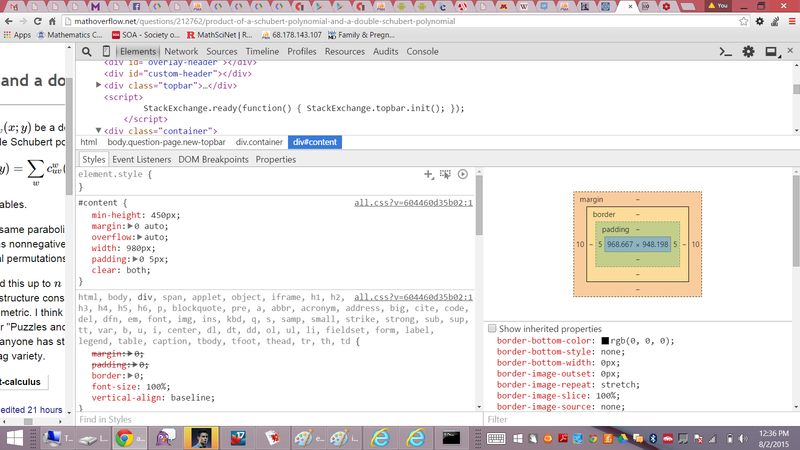 Using Chrome on Windows 8.1. Notice the first screenshot is on Meta and the second is on the normal site. It doesn't seem to be happening on Meta anymore but still happens on the normal site. Asaf suggested I click on the "Inspect element" menu option. While I program, I don't make websites, so I'm not sure how to interpret what I've displayed. I'll post it here. UPDATE: Now when I reload the evil scrollbar appears, then disappears, so reproducing the bug is probably going to be hard now. Using Chrome, the mysterious scroll bar appears for me when I zoom in, but only at 110% and 125%, not at 150% or 175%. Interestingly, the same thing does not happen on math.stackexchange.com or tex.stackexchange.com. I'm pretty sure it's the same Chrome bug as reported here for comments when using SOUP. Basically, Chrome seems to sometimes have trouble calculating the correct content dimensions for elements with overflow: auto, and occasionally ends up underestimating the required size by a pixel or two, causing a useless (and somewhat broken) scroll bar to appear where no scroll bar should be. In this particular case, I suspect that simply styling the #content div with overflow: hidden instead of overflow: auto should be enough to get rid of the scroll bar. It might sometimes cause the bottom of the page to be clipped by one or two pixels on Chrome instead, but that should be completely harmless. Not the answer you're looking for? 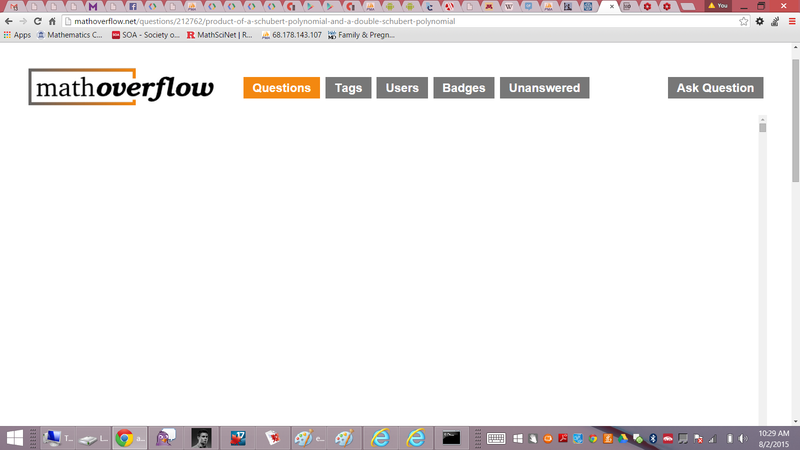 Browse other questions tagged bug user-interface .